A tornado struck Worcester, Mass. this morning. The extent of damage and injuries is unknown at this point. 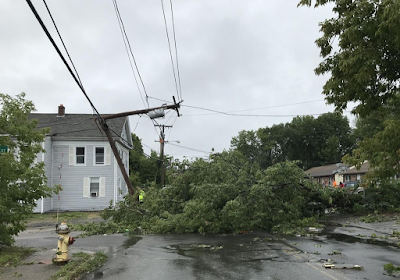 Worcester was struck by one of the trio of extreme tornadoes in 1953. It killed 94 and did an amazing $465 million in damage (2018 dollars). 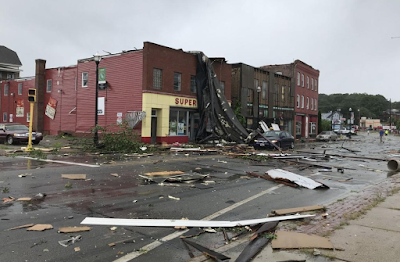 Full coverage of today's tornado, which occurred in the Webster area, is here.